Their goal is to learn the language and get work to improve their quality of life and help their families. To achieve total cultural immersion in a foreign place and away from their different customs, one of the most difficult barriers is the language. They clarify that they are migrants, not travelers or tourists. They also do not come in search of new experiences, but are forced to leave their country to look for work. They tell us that living here is difficult but they are better than in their land, more than 7,000 kilometers. 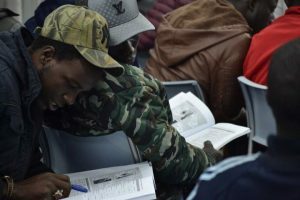 More and more Senegalese are part of the urban landscape of Buenos Aires, where most of the 4,500 who settled in Argentina live. Of that total, there are only 100 women. Great part arrived in two batches: 2006-2008 and 2012-2013 and 90 percent have refugee status, lives in Argentina with the Precarious residence, which is the first step to obtain their temporary stay, which enables them to study , work and enter or leave Argentina for a period of 2 years (renewable). In this context, a joint initiative was launched between the Undersecretariat of Human Rights and Cultural Pluralism of the City Government and the Department of International Studies of the CUI, within the framework of the BA Migrante program to teach classes from Spanish to said community. Today some 60 students study and it is expected to reach 100 by the end of the year and bet double that number in 2019. 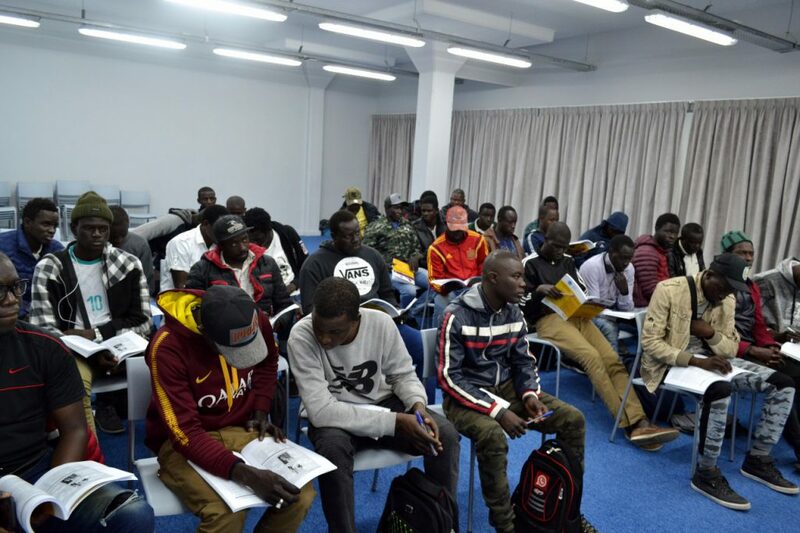 Students like Abdul (45, from Dakar, three years living in Argentina), Modou (25, from Louga, arrived eight months ago), Bamba (28, from Diourbel, disembarked in 2016), Gora (35, from Touba; came in 2015), Chiech (27, from Louga, has been three years), Abdou (42, from Diourbel, resides here twelve years ago), Fallou (29, from Thies, goes for its third season) and Kara (33, from Meckhe, almost four years) draw shy smiles that cost them little compared to the language. They fight to coat and sword trying to construct a basic phrase in Spanish, language that began to study from said program. 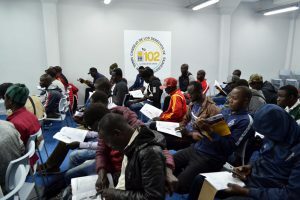 “Specifically with the Senegalese community we are working on two great senses; one is social inclusion through language and two, labor insertion, “says Pamela Malewicz, undersecretary of Human Rights and Cultural Pluralism. “The Senegalese community is growing more and more. Their migration is of an indirect nature, that is, they pass through Brazil – mostly – before arriving in our country. 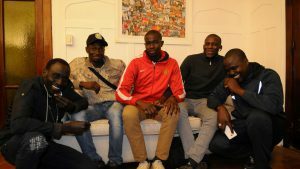 They are characterized by being young men, between 18 and 35 years old, of Muslim religion and of wolf ethnicity (majority in Senegal), “reports Malewicz. 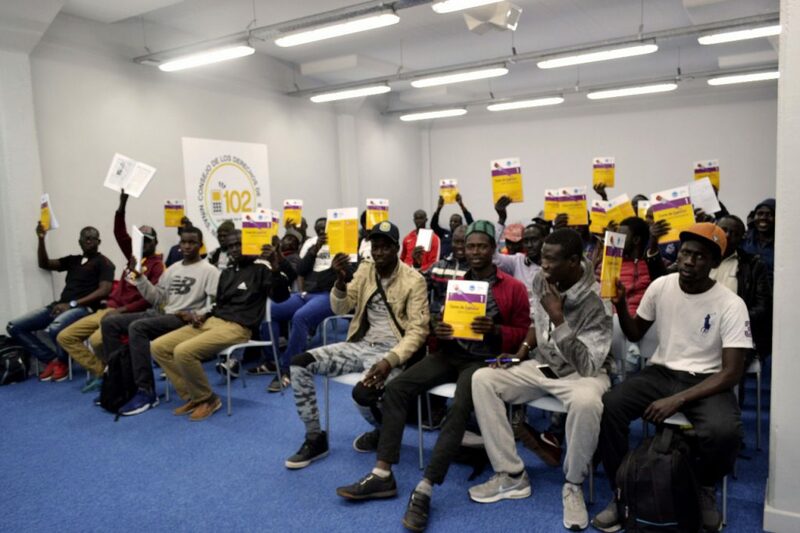 “The most difficult thing is to go through the first months, because without being able to talk it is impossible to do something,” says Kara, who has been in the country for three years and defends herself more than well with Spanish. 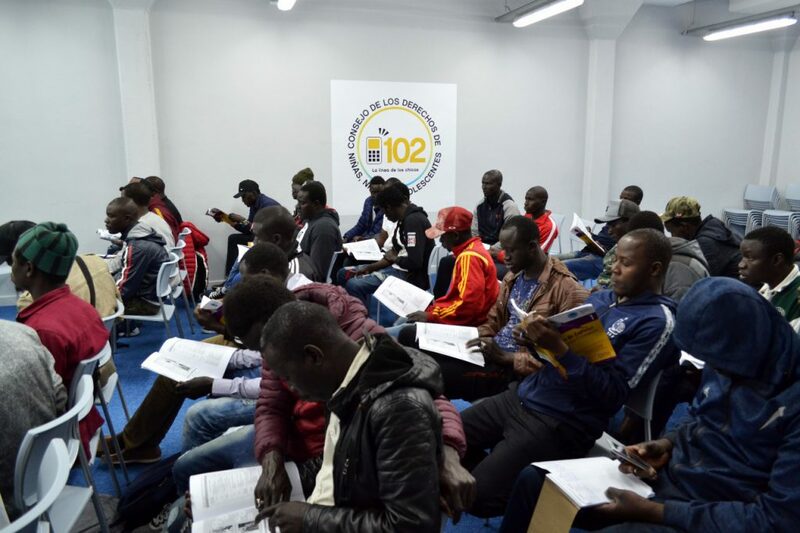 He speaks to his colleagues in Wolof, their native language, and they all agree: “You can not express what you feel without language, what is needed, or do a formality or ask for work,” Kara explains the group’s thoughts of Senegalese who met with Clarín. “We want to study in order to understand the language and be better in Argentina. If we understand Spanish, we will have more possibilities to live better “, is the formula of three simple that they try to practice. “If we communicate better, we can sell more merchandise and, thus, send money to our families in Senegal, which is what matters most to us,” says Gora, who was received as a journalist but was never able to work in Senegal. 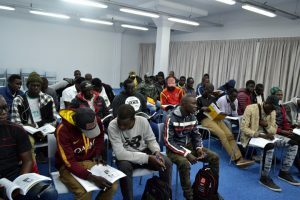 Chiech was perfected in electricity, Modou in mechanics and they are searched for to express themselves, while the rest, with patience and a melting pot of gestures, he manages with the help of Daniela, the Spanish teacher -present in the talk- who is try to help them. “One of our objectives is to raise awareness for better and greater integration. We always let them know that not understanding the language is a big obstacle “, they say from the Association of Senegalese Residents. “Our goal is that everyone is trained to have a better life and greater opportunity. The number of students is still low but there are several who already master the language. They are smart guys. Now what would be missing is to accompany them so that they can dedicate themselves to the jobs in which they had or have capacity, “says Moustafa, a spokesperson for the Association. Did not they try in another African country? “There are destinations like Sierra Leone, Gambia or Mali where there is a lot of violence and, on the other hand, the realities are similar to those in Senegal. The countries that are a bit better are South Africa, Morocco and Nigeria, where there are already many Senegalese, so we prefer not to go so as not to compete with them “, builds Modou. “We do not have another to adapt to this culture, which is very different from ours. My dream is to be able to bring my family, but for that I need to have documents in order and so I can have a better job, blank. I want to work in white, I’m ready, “says Bamba. Gora denies with his head. Abdul, Modou and Chiech do not panic over the “dollar” issue, although they slip that “they are times of low sales. We have to pay the roof, taxes and food, and now we barely make ends meet. ” When they squeeze them with impossible rents, they have no other choice but to pack their suitcases and find a more convenient shelter for their skinny pockets. They usually choose the neighborhoods of Once, Constitución and Monserrat. In general they do not hesitate to describe their stay as “more or less”, when referring to the balance of the last two years, but they always let slip optimism. “Many of us are undocumented, what can we expect!” When estimating an average amount they earn, they say they reach around $ 300- $ 500 per day. And they say that they already think about summer and Mar del Plata appears on the horizon, “because between December and March is when we sell better”. Kara, 33, is the smartest of the Spanish class at the University Language Center (CUI) and who seems to be the leader among his classmates. Maybe because he’s been in Buenos Aires since 2011, maybe because he’s the one who speaks the most fluently, the truth is that his charisma attracts attention. Meckhe, where she studied French, who lives, like most of her compatriots, from street vendors. 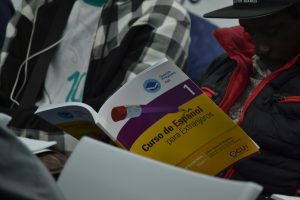 As an institution, for the CUI is proud to participate in this program from where we know best, with commitment and academic quality, providing a tool as valuable and necessary as the language, in this case, to contribute with a better stay and experience for the Senegalese in Buenos Aires.